public spaces as a common space for all: a new generation of artists in post soviet countries positions itself on the line of defense of public interest, inviting citizens to claim their right to the city through art interventions. 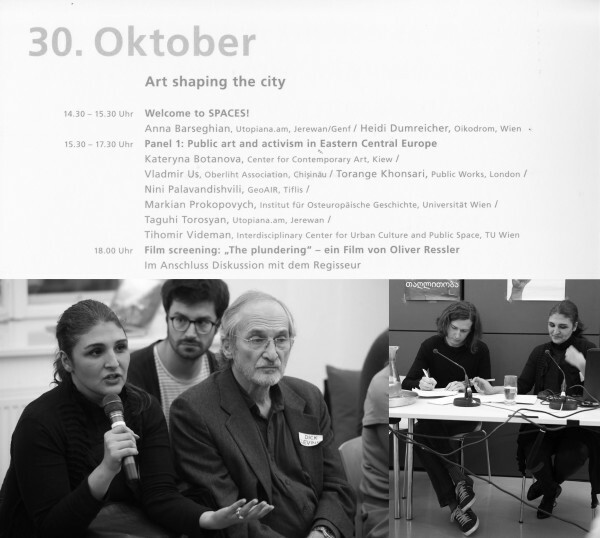 The project SPACES assembles curators, artists, activists and researchers in Chisinau, Kiev, Tblisi and Yerevan. The discussion proceeds to looking at the positioning of artists in current proceses of protest,activism and change in a global context.